2017 started off well for Bitcoin, as it has reached the $1 000 mark, and shows absolutely no signs of slowing down. I get emails from people very often asking whether or not this cryptocurrency is the only one worth investing in, and, to tell you the truth, the answer is not as simple as you may think. Before I open up this conversation, I want to make sure that it is understood that Bitcoin is neither a stock nor a company –it is a cryptocurrency. If you are considering investing in it, it is vital that you understand that you will essentially be buying currency, although there are other ways of investing in it too. These include buying and holding, trading, investing in Bitcoin mining, or investing in companies that accept Bitcoins. A growing number of internet-based businesses now accept Bitcoin, and you are able to transact using this cryptocurrency at an online casino, online retailers, travel companies and to purchase other online services. The more companies that accept it, the greater the demand, and many hope the greater the value. The most common method of investing in Bitcoin is to buy it, hoping that its value will appreciate. This decision requires you knowing when the best time is to buy, meaning when do you feel the price is at the lowest it is going to be, and will thus make for a good profit when you eventually sell it at a later date. Don’t rely too much on the free advice people are so eager to hand out when it comes to something they know nothing about, and focus instead on ways to make this decision on your own. Do your homework, investigate what you need to and learn as much as you can about this cryptocurrency so that you can come to your own conclusion –bearing in mind, of course, that this too is advice, and you should take it with a pinch of salt as well. Don’t ever invest more than you are willing (or able) to lose. Bitcoin is a risky investment, as most of those which promise high payouts are, and it is essential that you keep this in mind at all times. After you have bought your Bitcoins, ensure that you move them into a personal wallet belonging to you –don’t ever leave them at the exchange. I personally recommend using a hardware wallet to store them. If you can’t afford one yet, try a paper one until you can. Only buy your Bitcoins through exchanges that have proven reputations. Buy your Bitcoins through Dollar Cost Averaging. This means that you don’t purchase all of them in one trade, and instead acquire a fixed amount of them every day, week, or month over the year. This allows you to average the price out over 12 months. By now you have probably come to the conclusion that the answer to the question I posed at the start of this article is not a simple one –it is not just a matter of should you invest in Bitcoin, it also involves the different methods of doing so. The only way to find the answer is to educate yourself: learn about Bitcoin, learn about what factors affect it, what advantages and disadvantages this cryptocurrency brings to the table, and hold off making decisions until you have armed yourself with the knowledge required. What is BitCoin? Have you ever heard of BitCoin? If not, it is high time that you do. BitCoin exchange might revolutionize the way money is exchanged on the internet. It is no longer just a concept and is very much in use today. BitCoin comes from the intriguing field of CryptoCurrency. BitCoin is different from anything you might have heard before and is a complete novelty. No, it is not another payment processor. It is a whole new way of looking at money. Satoshi Nakamoto wrote a paper on CryptoCurrenty in 2008 and published it to an email list. That is the humble origins of BitCoin. BitCoin is not an issued currency i.e. there is no central authority who issues it, quite unlike the Dollar or Euro or Yen. However, it can be used to make and accept payments. It is not backed by any physical metal. Just like fiat currency is backed by nothing but the power of the government standing behind the issued currency, BitCoin is backed by a spread out network, cryptography and some enthusiastic innovators. There is no way to cheat the system. No one can steal your BitCoins (unless they get access to a private key) and they cannot be created. Yes, they cannot be created. This is weird, because all the Fed needs to do to create dollars is to print more of it. Of course, they weren’t in existence since time immemorial and therefore they need to be created now, but that’ the point – there is already a definite scheme. As of today, there are 6.2 million BitCoins created. The BitCoin economy is designed in such a way that the limit of BitCoins will be 21 million, which will be reached at least a decade from now. No, not even the founder can create or control this economy. It is all programmed and there are secure networks which anyone can join that authorize BitCoin transactions. The BitCoin economy is quite unlike what we are used to in a fiat currency monetary system. 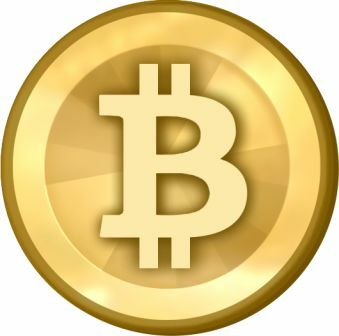 BitCoins are global and based on the principles of cryptography for transferring money. Everything is already programmed and it is almost impossible to manipulate the system. So here is how BitCoin economy works today – directly over the internet without any third party like banks or Paypal or anything else. The basics of BitCoin are the basics of cryptography. If you want to use BitCoin, you will need to install BitCoin software. Then, like in cryptography, a pair or keys are produced, one private and one public. The public key is, public, and you will have to give it to the person who wants to send you the money. This can be publicly displayed without a problem. The private key is private and should be kept a secret. Every BitCoin transaction or BitCoin exchange is verified by other BitCoin clients which are running and not involved in the particular transaction. There are many safeguards in place to ensure that the transfer is completed quickly, smoothly and without trouble. Most importantly, the system cannot be cheated. How are BitCoins Generated Today? That is a good question. Like I mentioned earlier, it is a virtual currency that cannot be centrally controlled or created but in the initial stages, it needs to be created. So how are BitCoins created? Well, the BitCoin client will mine for BitCoins every time it competes to update the public log of transactions. This adds 50 BitCoins to the system. This is called mining and it creates BitCoins now. As the system grows, the “miners” will be rewarded not through the addition of new BitCoins but with the help of a small transaction fee. Remember that BitCoin is a virtual currency, so it can be divided into very very tiny divisions and the fees can be determined by supply-demand principles depending on how big the BitCoin economy can grow. Is There Really a BitCoin Economy Today? Yes! There are a whole lot of small businesses that use BitCoin. It is definitely not mainstream but you can trade BitCoins for a host of small goods and services. It does have a very loyal fan following though, so don’t be surprised if BitCoin indeed becomes common a half decade down the line. If you want to know the full BitCoin exchange economy, visit this link for a complete list. Can BitCoin Challenge the Dollar? The more relevant question is, will BitCoin replace the dollar or other fiat currencies. Well, that is a hard question to answer but it is very unlikely. Remember that BitCoin is a peer to peer virtual currency so it works because there is a market created for it through a group. It is highly unlikely that the whole world will be on this network. What about half the world without access to internet connection? They are out of this economy right away. That being said, BitCoin is revolutionary in its own way. It is a very good alternative to fiat currency and it has a small group of loyal followers who trade in BitCoins already. This is how any currency gains acceptance, as more and more people join the group. Also, at a very fundamental level, that is what money should be about. The fiat currency is very easy to manipulate and there are many ills associated with it – just ask an Austrian economist, or just ask Ron Paul! Well, the one I can think off the top of my head is that the system is based on the same cryptographic principle of impossibility of prime decomposition in linear time. In practical terms, you will need a super-duper computer to crack the private key from the public key that just cannot happen with today’s technology. However, that might not be the case in the future. Quantum computing, if it becomes a reality in the future, can break the cryptographic codes in minutes and that will be the end of RSA and cryptography as we know it. If a whole monetary system depends on it, that is not going to be pleasant with such disruptive technologies. BitCoin is still in its nascent stage and it shows a promise to be an alternate currency, not a replacement for more traditional currencies. It is exciting and its future is uncertain but promising. What are your thoughts? I’d love to hear from you!